Soroco’s Jessica Rossi flies over the bar May 16 during the state pole vault competition. The Rams junior finished tied for second in the event after she cleared 8 feet, 2 inches. It’s not exactly easy choosing the best female athlete from Soroco for the 2013-14 season, not because there are so few options but because there are so many. Junior Jessica Rossi still stands out from the crowd, however, and delivered dominating performances and served as a team leader in every season, from volleyball, in which she was a statistical leader, to track, in which she earned glory at the state track meet. And she usually did it laughing and smiling the whole way. Rossi was a force on the stat sheet in every season. Jacey Schlegel — one of those elite Rams who make choosing one athlete difficult — led the way in kills and blocks, but Rossi was second in both categories while leading the team in digs. Rossi was better in basketball, where her 329 points on the season led all girls basketball players in the county. She led her team in rebounding, pulling in 12.2 per game, and even in steals, averaging 3.5 per game. She may have been the best in track, however, as she led the team by competing in three events at the state meet. She ran in two races, the 400- and 1,600-meter relays. In those, as in volleyball and basketball, she got plenty of help from her friends and teammates. 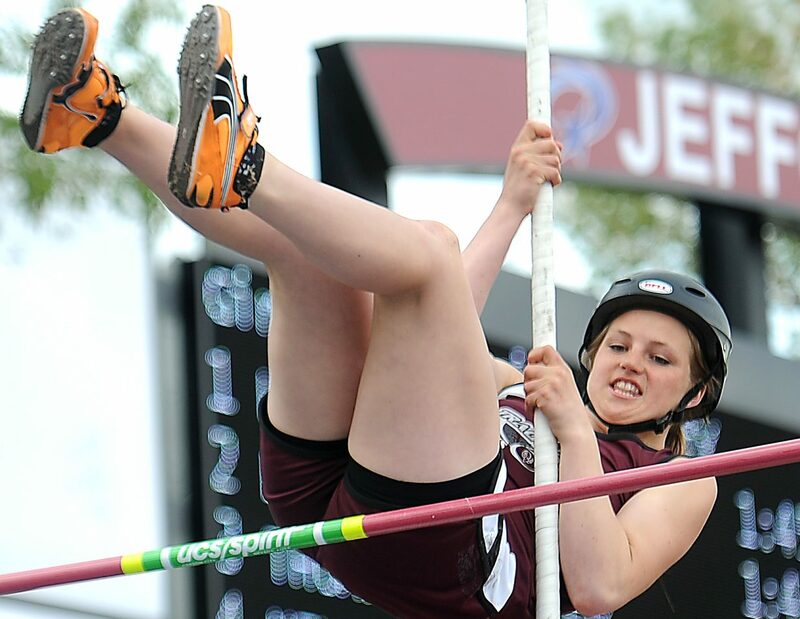 In pole vault, she did it by herself, soaring to a second-place finish. That was enough to separate her from the crowded ranks of Soroco’s girls this past season and to make her the Soroco High School female athlete of the year.